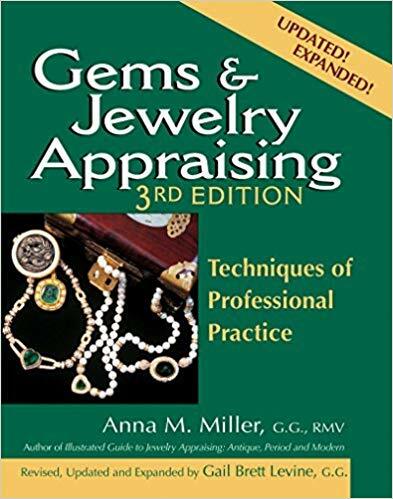 While laying on the praise for the Matrix lap very heavily, I was one of the few people to mention that I felt it was susceptible to facet rounding, especially on harder stones and at low angles--such as those near the table. At certain level, this is not surprising--as a composite lap its not as hard as metal or ceramic. Its also part of the reason that it works so well on everything--a tiny bit of "give" can help it hit all areas of the facet fast. A bit like the Darkside, IMO. We all know that if Jon does one thing well, its fiddle with products and improve them, and the team of him and Thomas has produced some real winners of late. Enter the Diamatrix! I've just received one to do some testing, and I immediately put it to the test on a real challenge--a roughly 100-carat topaz that I had started cutting before it arrived. A big stone, hard and susceptible to scratching and other PITA problems. I roughed in the topaz on a 180 lap, then truly cut the facets on a sintered 600. This was followed by my standard pre polish approach--8K on a BA5T. Now to the Diamatrix. It's a new version of the Matrix--I'll leave it to Jon and Thomas to weigh in on the details. Its dark gray in color, and noticeably harder if you try to press on the surface with a fingernail. I charged it up with 100K Blakstick polarized polycrystalline diamond--that stuff is also killer. Similar to my Matrix, it took a good bit of charging to really get the lap loaded, but I had a large stone to work it, so that provided plenty of time for that. My observation is that its similar to using a BA5T--although faster. Because its harder, it cuts flatter facets, so they are slower coming to a full polish. That said, it cuts really flat. I had to use a lot of pressure with the large facets on my topaz, as I had some scratches from the 8K (this particular topaz is really scratch-prone). It didn't matter how much pressure I used, the facets were flat with very sharp edges. The final polish is glassy. An interesting side observation--the sound of this lap is pretty nice. Not loud, not screechy. Just a nice hum/buzz. It definitely polishes fast--faster than pretty much anything else I could have used except the Matrix. I think this will become my go-to lap for polishing any hard stones. Next up I will be trying out a sapphire and a few other stones. More updates as I polish other stones--but IMO this is a winner. I listened to folks on this forum and feedback from a frequent Matrix user who runs a Moissonite polishing factory. My own experience with the Matrix matches yours. So, I went into product development mode with a proposal to Jon. 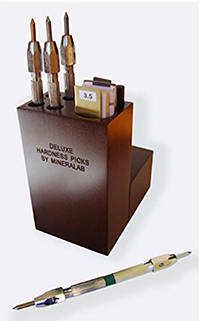 We then went through three prototype phases to produce the DiaMatrix, a porous ceramic composite lap intended for polishing stones 8 Mohs and harder with polycrystalline diamond. Of course, you can polish softer stones with the DiaMatrix as other users of that lap will find. Got a commercial order for the 10" ones, so we will be turning on the Big Switch soon. People doing production do not want to wait once they find out something works. Time=$. The Brown Truck has left with all the Tucson stuff, and life is getting back to normal. will it work with the oxides like the matrix, or is this dedicated to diamond? I don't know. I expect it will, but the original Matrix should be better because of polarity issues and a higher fractal dimension. I doubt it will take long until someone tries it, and there may be other surprises waiting. Tom calls those "Easter Eggs", and I suspect someone has already found one of them, if Emails can be interpreted properly. I will not be able to get near my lap for another two weeks. Too much going on. I have to deliver the commercial 10" ones, in addition to everything else. The most important question ever asked about a product is "Is it fit for purpose in its intended application?" The intended application for the DiaMatrix is diamond polishing, and by all accounts it works well. But then, don't listen to me; I was the one who was surprised when people began using the BATT for prepolishing, then later, cutting. PS: Page is up. In haste on coffee break. Then the factory whistle blew. 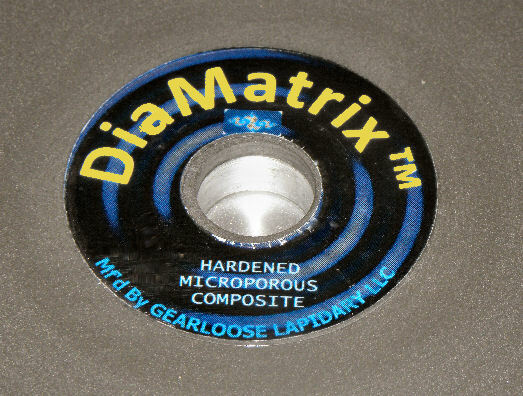 Since using the DiaMatrix, I have converted my Matrix lap over to oxide only. Formerly, I used the Matrix with 100K BlakStik, so the surface already has a polycrystalline diamond legacy charge. You have at least 1 order for the 6" version sent now. OGood. An excuse to use the propane snowblower! Not to go offtopic, but is there a chance we'll be seeing more pictures of that topaz? Because I'd sure like to. Why yes...I was just about to post an update on the stone and the lap, since I just finished polishing the crown with the Diamatrix. Now that I've polished a bunch of facets with it, the Diamatrix is pretty well loaded with 100k diamond. I only refreshed the charge a few times on the crown for the larger facets. The table took a lot more diamond because it was huge and had some scratches in it--it's almost perfectly on the cleavage plane. The final finish is glassy. The Diamatrix lives up to its promise--very flat facets with sharp meets. With a little extra diamond I could even nudge in the meets on some of the facets. Now I need to facet something smaller and more reasonable. I'm going to do a sapphire next to try the Diamatrix there. The topaz is 97.15 carats and it measures 31.35 x 21.75 x 18.90 mm. The light orange/sherry color is at the long ends of the gem and the pale blue is in the middle--the gem shows beautiful flashes of both colors as its held in the hand. 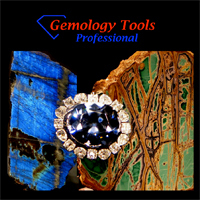 It is a completely natural stone from the Topaz Mountain Mine in Colorado. If you're going to the Tucson gem and mineral shows, this stone will be there and you can see it in person--Joe Dorris should have it in his display case. Beautiful job on that Topaz. Gee, that DiaMatrix does a great job, particularly when used by a great cutter. Fantastic stone! I think the table on that is probably larger than the entire stone I have on the dop right now! Quite possibly twice as large. I have been impressed with the matrix so far, it is honestly effortless polishing just with the regular 100K diamond paste I've used for years. If this new one is more of the same then I think it is time for a new lap, and the fancy 100K blackstik! Many thanks to the industrious innovators. Without you guys I'd be testing to see if a DVD is better than a CD at holding CeO. That is one huge topaz. Without you guys I'd be testing to see if a DVD is better than a CD at holding CeO. I suspect more of us have been there than will ever admit. Maybe more AOL CDs have been loaded onto faceting machines than were loaded onto computers, from reading the old forum postings. That's why this is so satisfying.